At age 3, Grace Carney was diagnosed with the genetic disorder neurofibromatosis type 1, or NF1. The disease causes tumors to grow on nerves throughout the body, which can lead to blindness, bone abnormalities, cancer, deafness, chronic and disabling pain and learning disabilities. Now, at age 12 and after nine years of treatments, Grace received good news about her latest MRI, says her mom, Janet Carney. Though Grace still has hundreds of tumors on her spinal cord, the recent MRI showed that no new tumors had developed and none had grown in size. Janet says Grace won't need to be screened again for three years. Neurofibromatosis affects about one in 3,000 people — and is more prevalent than cystic fibrosis, muscular dystrophy and Huntington's disease combined. 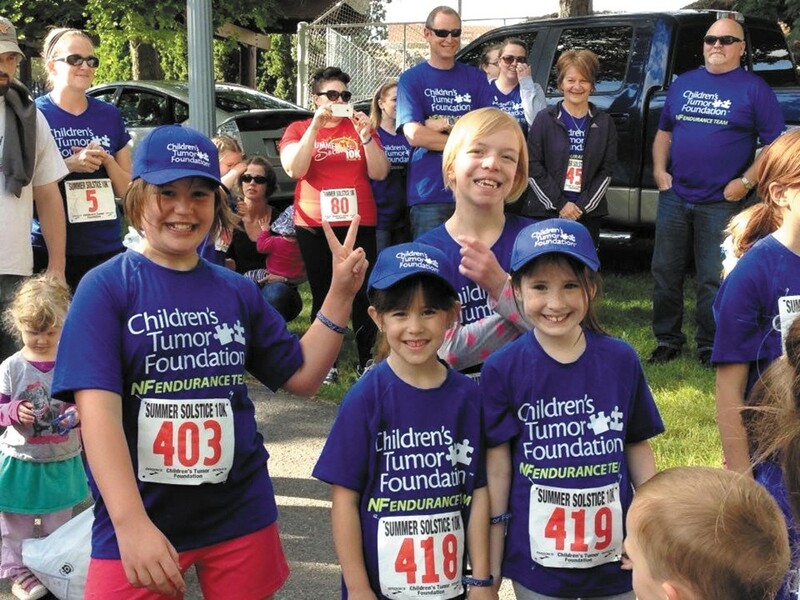 In support of Grace's battle with the disease and other children like her, Janet is chairing, and her family is participating in, the upcoming Summer Solstice 10K and kids run. The event is co-hosted by Fleet Feet Sports and the Spokane Swifts running team. For the event's second year in Spokane, the goal is to raise $15,000, surpassing the $11,000 raised in 2013. Funds will support research of NF — currently there is no cure — via the Children's Tumor Foundation. The New York City-based foundation also oversees local chapters to assist families of children with NF, helping put them in touch with local doctors and a support group of others who've navigated the complex disease. Spokane doesn't have a clinic that specializes in treating NF, so many families travel to Portland or Seattle, Janet says. Her hope — other than bringing awareness to her daughter's condition, a disease that many people haven't heard of — is "getting the word out so people know about the local chapter, and we get an NF clinic here in Spokane eventually, too."